On 3 to 5 October 2017, the FTTX Council hosted its annual conference at the Cape Town Conference Centre (CTICC) under the theme “Tomorrow is now”. The conference attracted over 600 delegates and provided a number of opportunities for attendees to meet speakers and industry leaders in a series of scheduled sessions that discussed the latest hot topics concerning innovation in the fibre space. During the conference, the Minister of Telecommunications and Postal services, Mr Siyabonga Cwele presented the keynote address, following the opening speech by President of the FTTX Council Africa, Mr Andile Ngcabe. He announced and clarified the rebranding of the council from FTTH to FTTX. 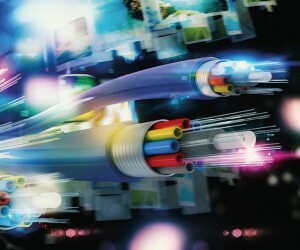 Previously, the council was known as the FTTH, which stood for Fibre To The Home. Now it is known as FTTX, which stands for Fibre to the X, “X” implying “anywhere”. The FTTX Council’s belief is, and will always be, that the only sustainable infrastructure that will serve our future needs will be fibre. However, they also believe that, as the name suggests, as an organisation, their only focus is on FTTH (deployments of fibre infrastructure to homes). They affirm that they want to be seen as inclusive of all technologies that rely on fibre and send a message to other telecommunications service providers. What are they trying to achieve with this message? At the event, there were over 30 sponsors and exhibitors from South Africa, Africa and around the world, occupying the 2000 square meters of exhibition space, with the latest products being showcased and providing great intellectual and social interaction for participants. Amongst the many other topics discussed at the conference were the 4th Industrial Revolution and the digital economy, Industrial Internet, Internet of things (IoT) and Big Data, which are driven by optics, and also the foundation of platform economics. According to Ncgabe, these developments are a testimony to the fact that optic infrastructure is the “digital rail road” of the 21st century knowledge economy. It is said that optics is now an integral part of the real estate and property sector, health sector and the automobile market. Today, the application of fibre optics goes beyond traditional broadband connectivity. Council CEO Juanita Clark has many years of experience within the telecommunications industry and is the co-founder of the FTTX Council Africa. She has an interest in women empowerment and skills development especially within the Optic fibre sector. She mentioned that the council works closely together with governments but mostly local governments. “The reason why we work closely with local governments is that they are responsible for producing what is called a way leave, which is a document that indicates where services are in the road, it shows you for instance where the water pipes are on the road, where electricity cables are located on the road because our industry does a lot of trenching, it is important for them to understand that,” Clark said. She further explained that the industry needs skilled and trained professionals as the industry is growing and there is a growing demand of these professionals because jobs are increasing in the sector. “There are lots of opportunities but the problem is funding to train these individuals. It’s a growing industry and we need new people,” she added.